No Glo Bingo Tickets? 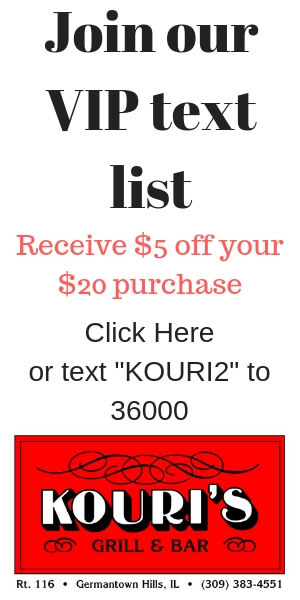 Bid on a pair now! One final pair of tickets for the Glo Bingo MGS Fundraiser is up for auction. Click Here to bid now! If you aren't lucky enough to have been able to purchase a ticket, now is your chance to bid on a pair. Bidding ends on Thursday night at 8:00 pm. 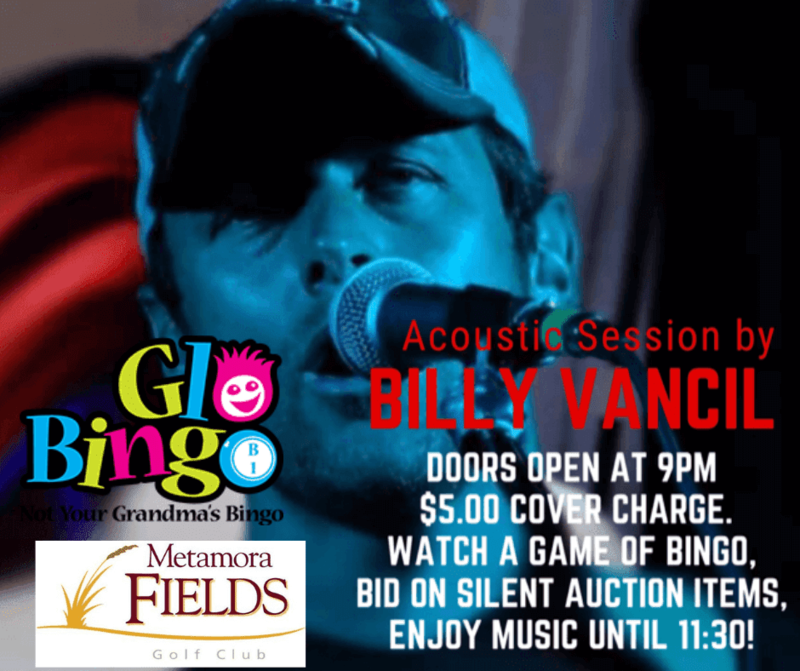 If you don't win the tickets, you can still head to Metamora Fields at 9:00 pm and listen to Billy Vancil play an acoustic set. Admission is only $5. 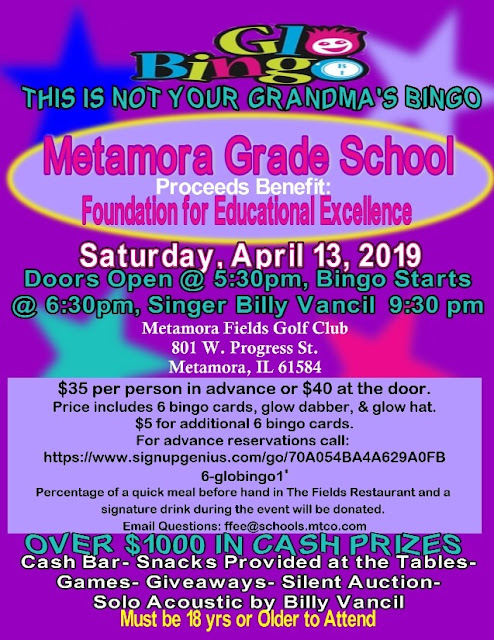 This is sure to be a fun event that you don't want to miss.